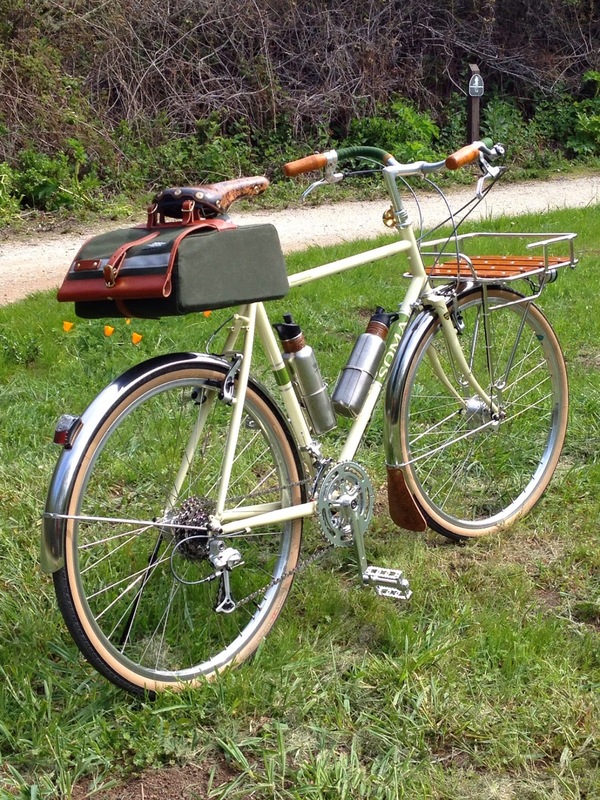 Dave rebuilt his GR with some upright bars and sent in some snaps. Looks pretty nice! 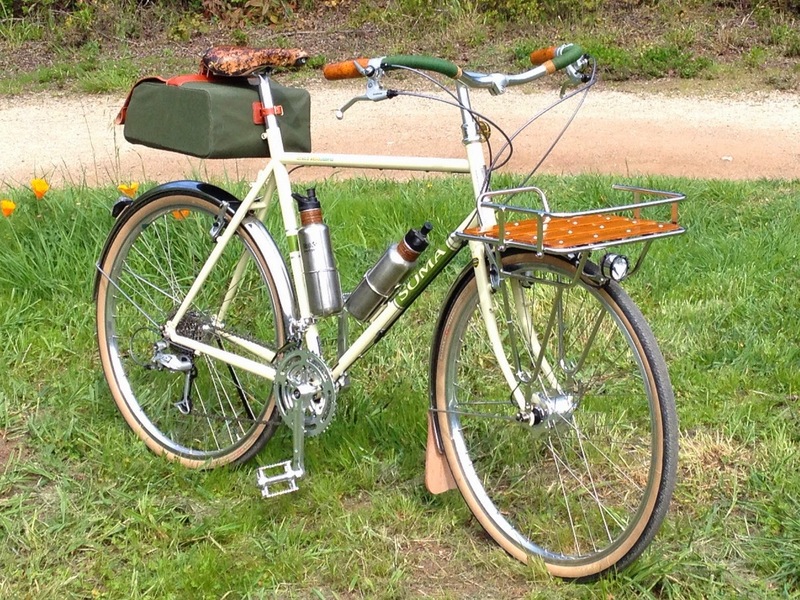 Ok, just to reiterate, yes the Grand Randonneurs are in stock. No, they're not available through the Soma Store yet. They will be soon, but our dealers have first crack at them. So if you want one and you don't already have one on back order, get in touch with your favorite bike shop and ask them to place an order on your behalf. 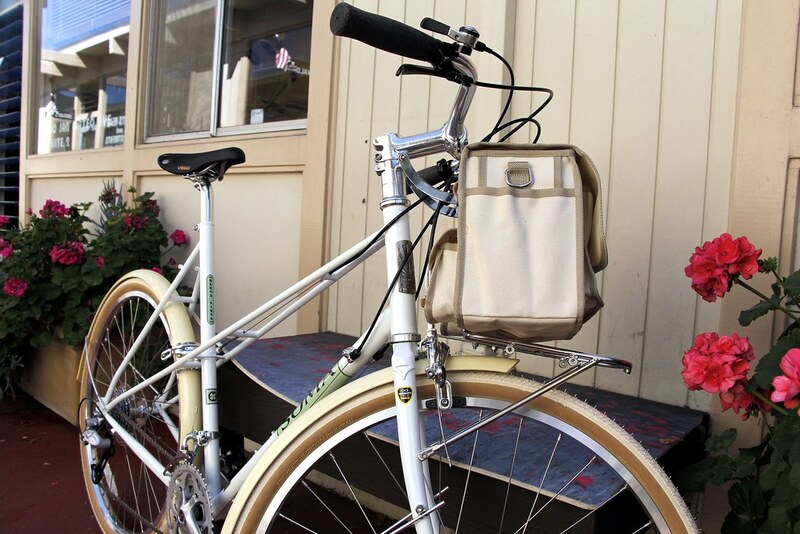 Boulder Bicycle can also help you out if you don't have a dealer in your area. If you are a dealer and you can't find your shop on the list, shoot us an email and we'll get you added. 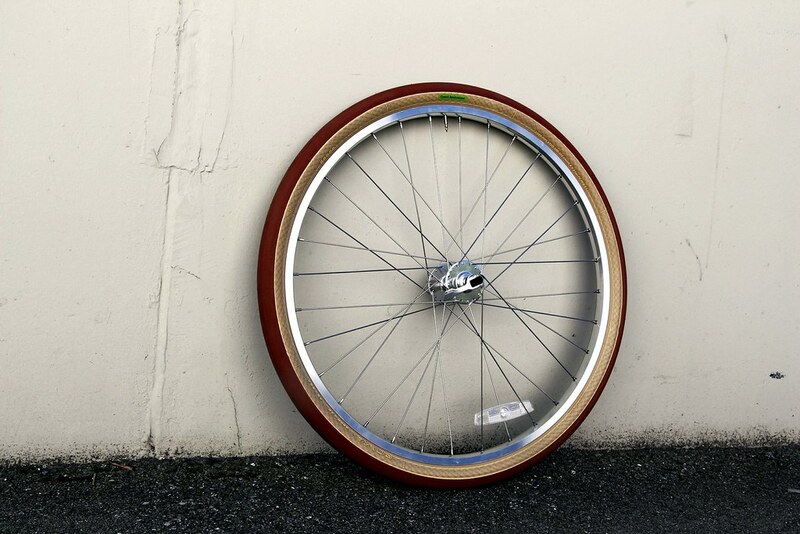 Some folks have asked us to post pictures of the new tires set up on a bike, so I have done just that. Came out looking really good. 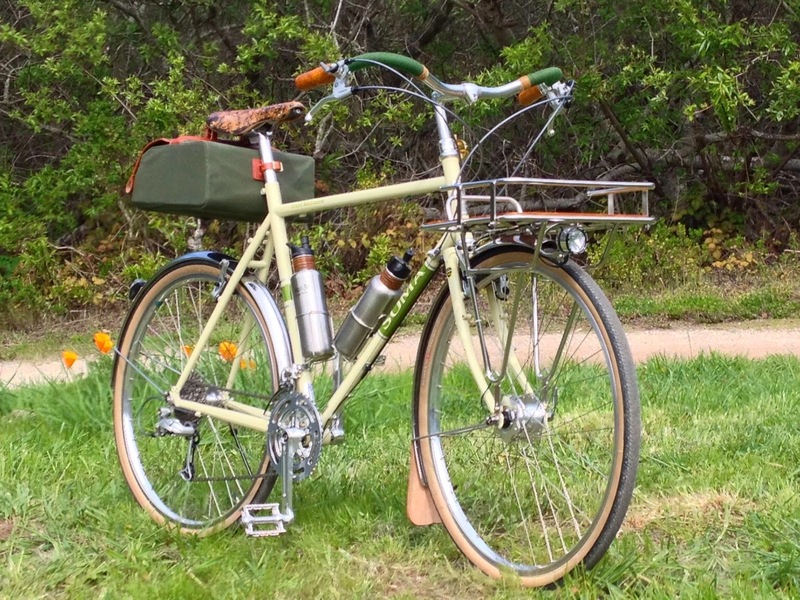 Buena Vista 650b and new Grand Randonneur Tires! It's been a pretty exciting day at Soma HQ. 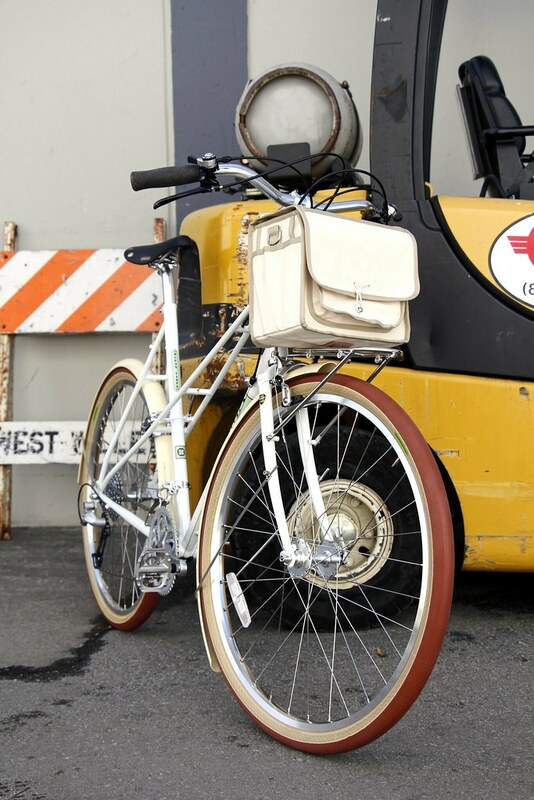 First off, the Grand Randonneurs are back in stock. We got a decent number, but they may sell out pretty quickly. 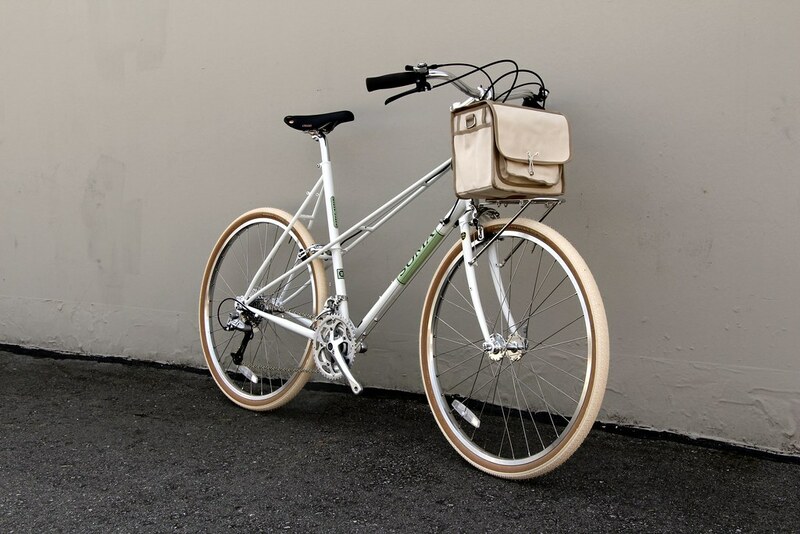 If you haven't seen them already, Soma is now offering the Buena Vista Mixte as a 650b complete bike. I built this one up with a few special parts that don't come on the standard build. I swapped the stock black tires for some cream Soma New Xpress 650Bs and traded the Moustache II bars for a set of the Ahearne x M.A.P. bars. 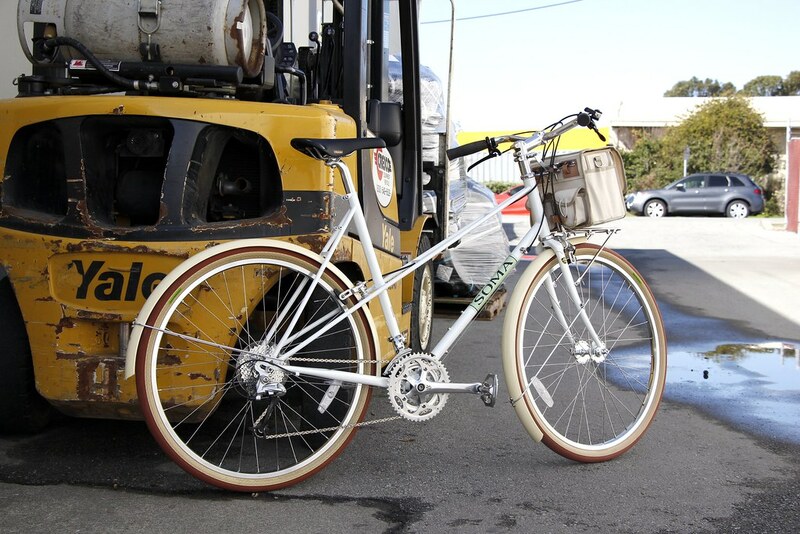 I liked how it came out but it was missing a set of fenders. 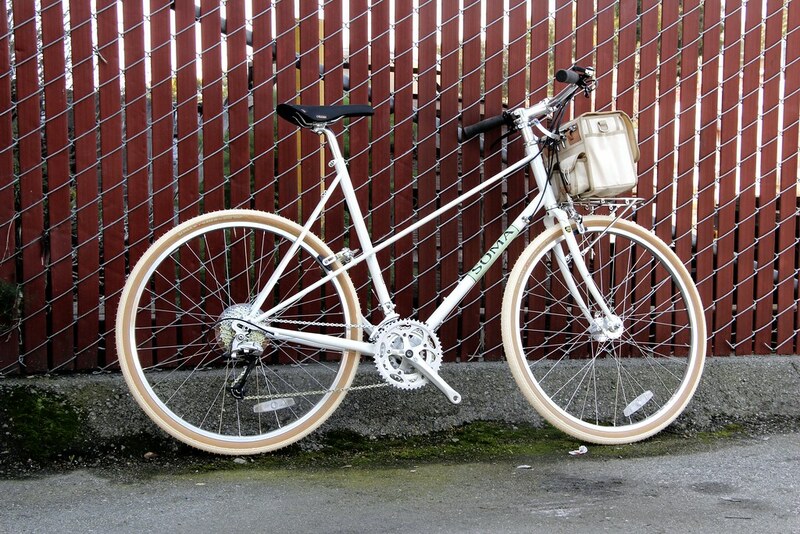 Luckily, we just got in the first run of Tanaka 650b fenders for the Grand Randonneurs. 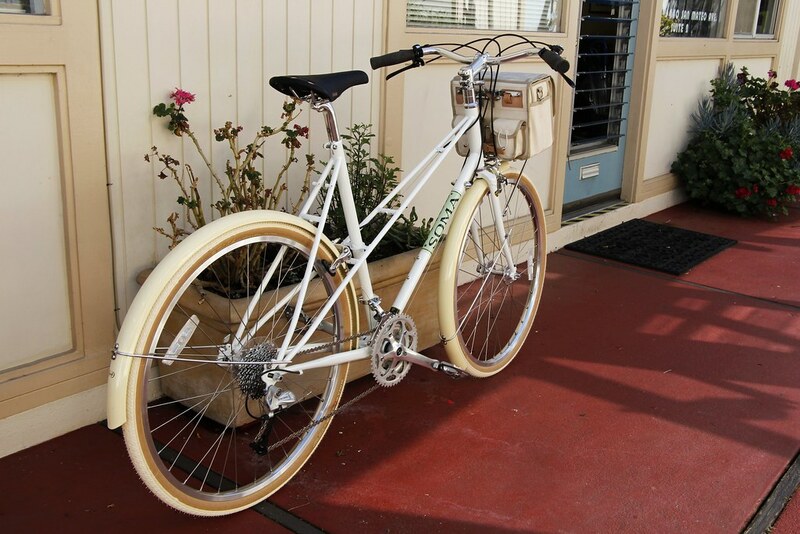 They're powder coated to match the GR, but I think they look really nice with the cream Soma tires. 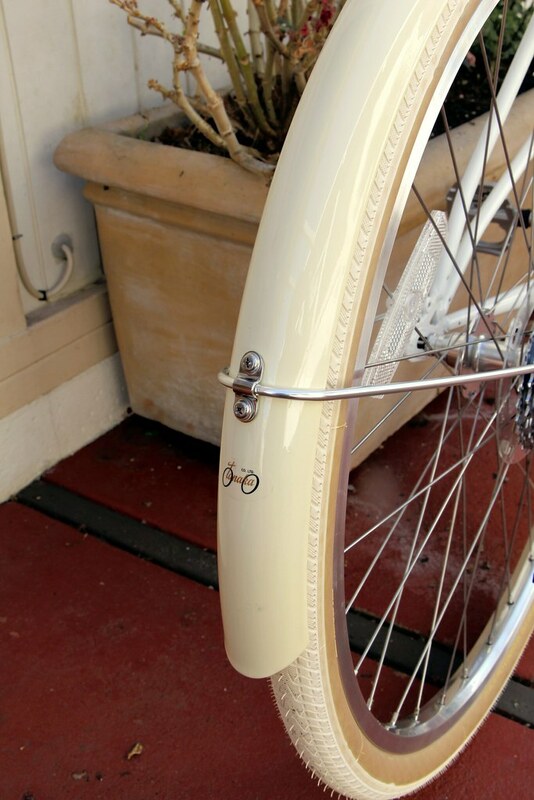 Plenty of clearance for 50mm fenders on the Buena Vista. The new Tanakas come pre drilled, and use 2 bolt stay clamps to make them easier to install and simple to adjust. 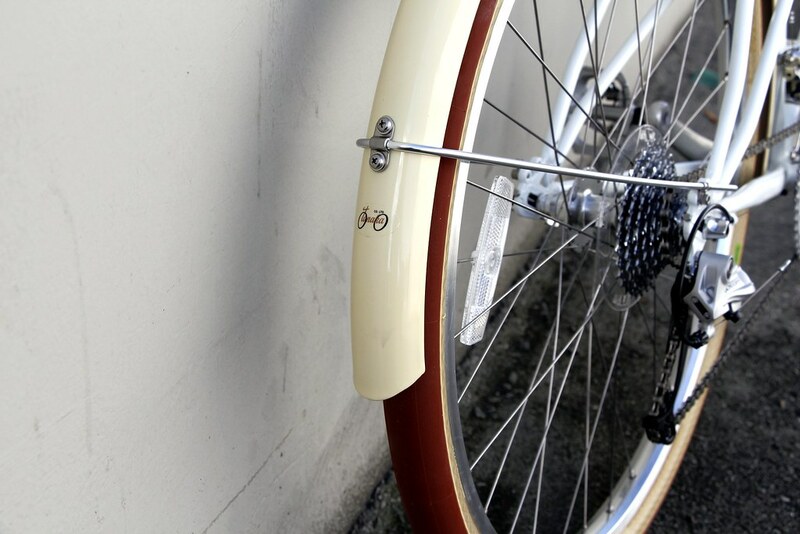 One benefit of this style clamp is that it allows the stay to be in direct contact with the fender blade, so there's no risk of cracking at the bolt hole. Just as I was finishing off this post Adrian came in from the warehouse and told me that another shipment arrived from Japan. Obviously I had to investigate, and to my delight I learned that our long awaited 650b tires had arrived. 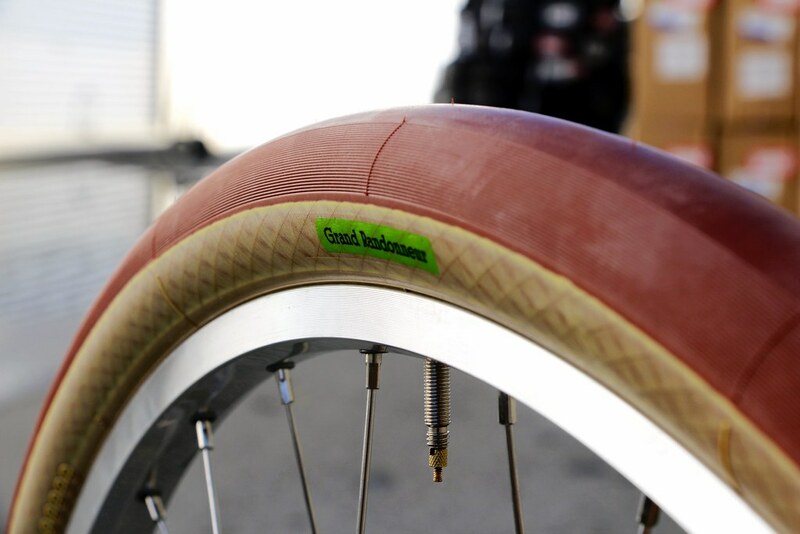 The Grand Randonneur tire is the lightest 42mm tire on the market at just 300g. 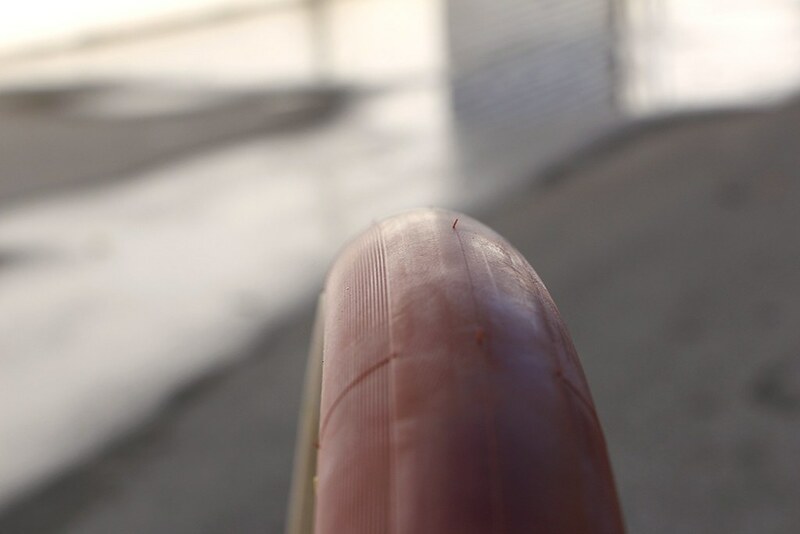 They use Panracer's lightest casing and the same supple rubber compound found in our other tires. The tread pattern is minimal, featuring a slick center contact area and recessed radial ribs on the sides. 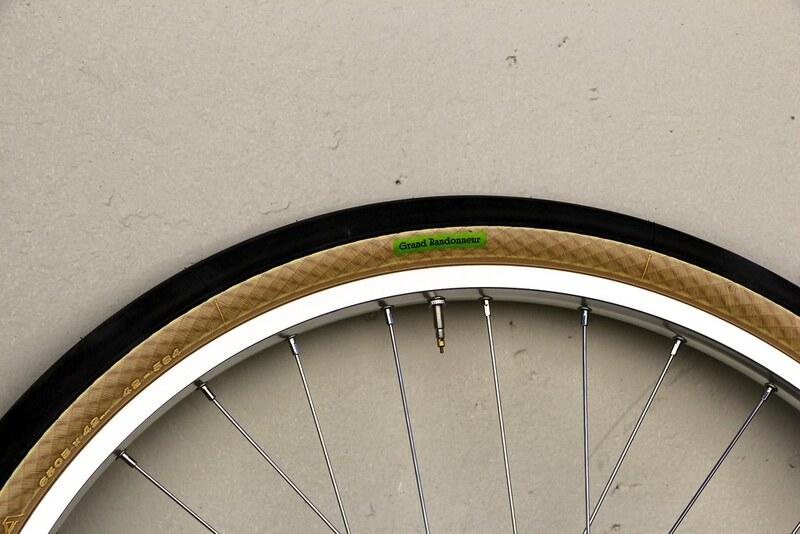 These tire are so light you'll think you're holding a road tire, but they're a true 42mm wide. 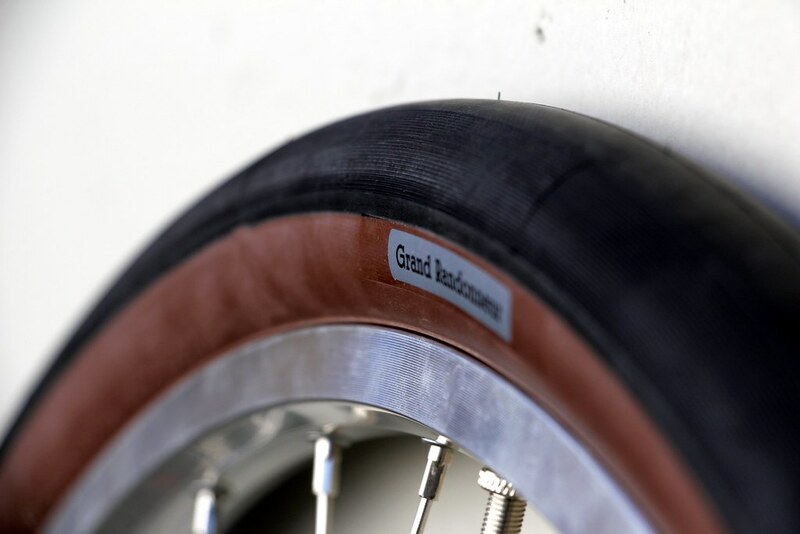 As we know, a low pressure tire will have better grip the more rubber is in contact with the pavement. 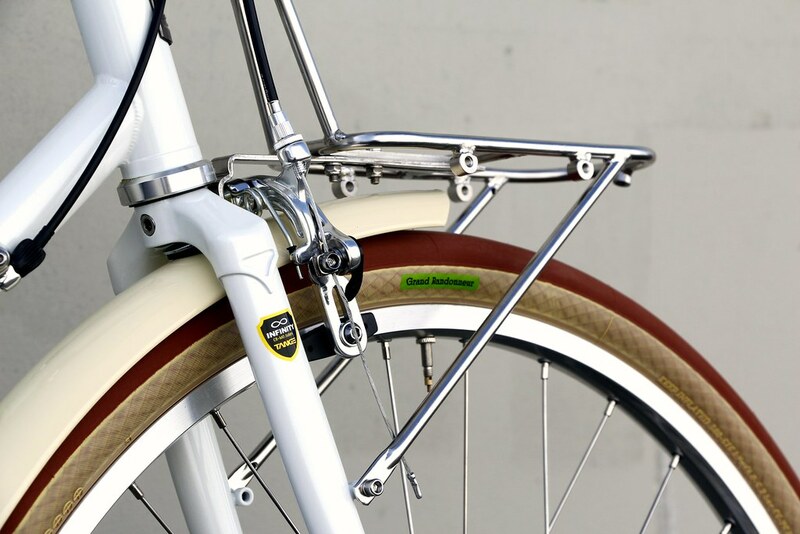 The Grand Randonneur tires has no diagonal ridges to increase grip and reduce drag. 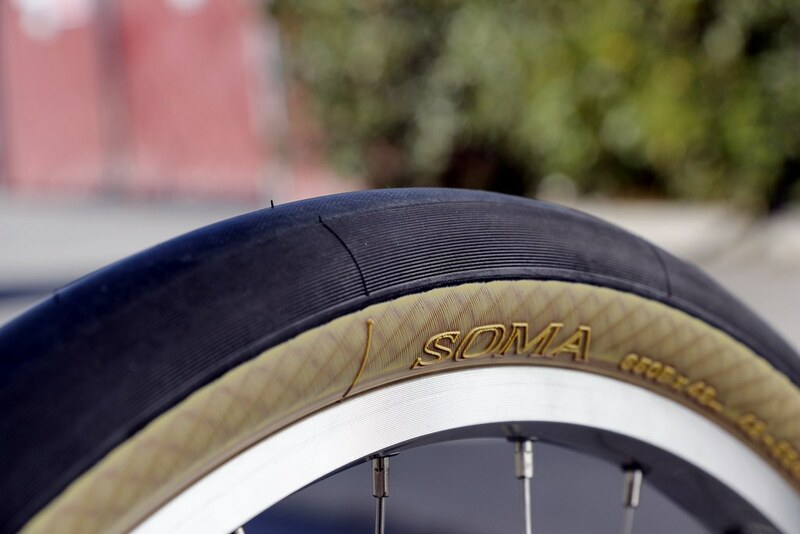 The sidewalls feature a special coating to prevent sun damage. 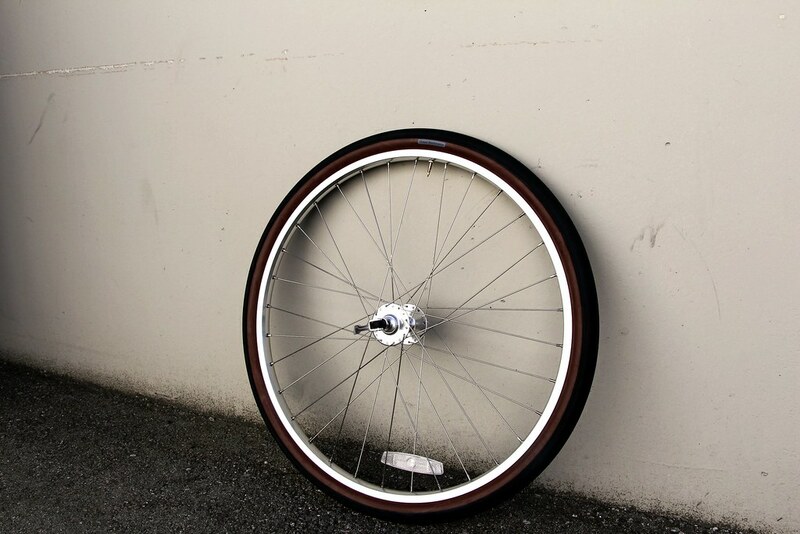 We realized that the extra light tires weren't going to be appropriate for some of the riding we like to do, so a heavier duty option is also available. 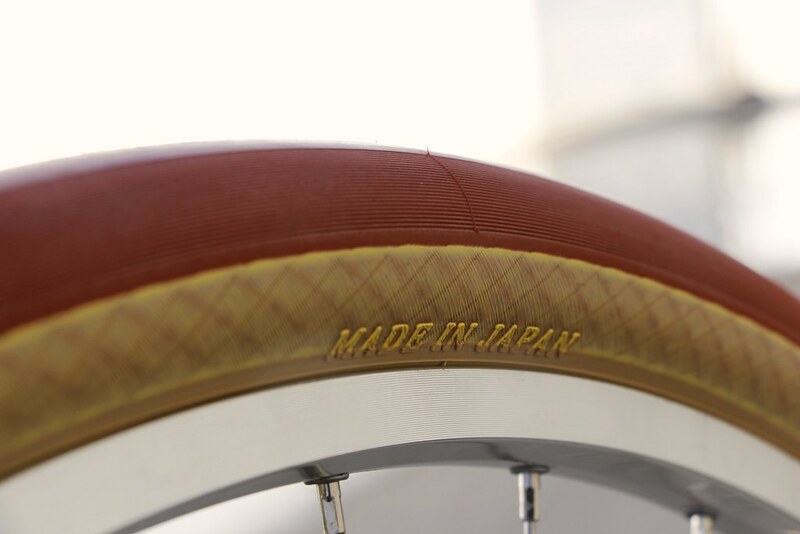 These feature a thicker tread and reinforced sidewalls to prevent cuts and tears. 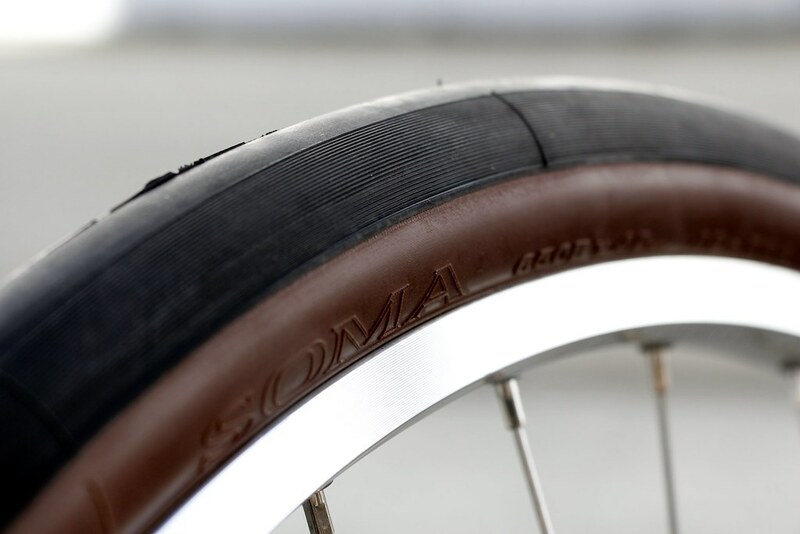 The rolling resistance these tires offer is really unparalleled by anything on the market. It's safe to say 650b is here to stay, and we're really pleased we're able to offer the state of the art in this category. We think these really raise the bar for what a high volume tire is capable of.